I cannot believe today is the last day of November!!! I really hope you and your family had a blessed Thanksgiving! We rented a house in Orlando with my Husbands family, cooked up an amazing feast on Thursday and spent 5 days in Disney. While I didn't get any running in (boo), I did make up for the slack by "running" around Disney with a 5 year old, 4 year old and a 2 year old. To say we are exhausted is an understatement. Since we spent the entire time at Disney, I never stepped foot inside of a store on Black Friday. This is a first for me and I am 100% ok with it. Speaking of Christmas shopping, I want to save you some money and time by giving away 6 of my favorite things over the next two weeks. If you have followed this blog over the years, you will recall I did the 12 Days of Christmas giveaways. This year I am changing things up a bit. Instead of 12 giveaways, I reduced it to 6 and made those 6 items bigger and better; things I know you would love to find under the Christmas tree. Every giveaway I am doing over the next two weeks are brands I am passionate about and things I would buy friends and loved ones. If you aren't a runner, that is OK! 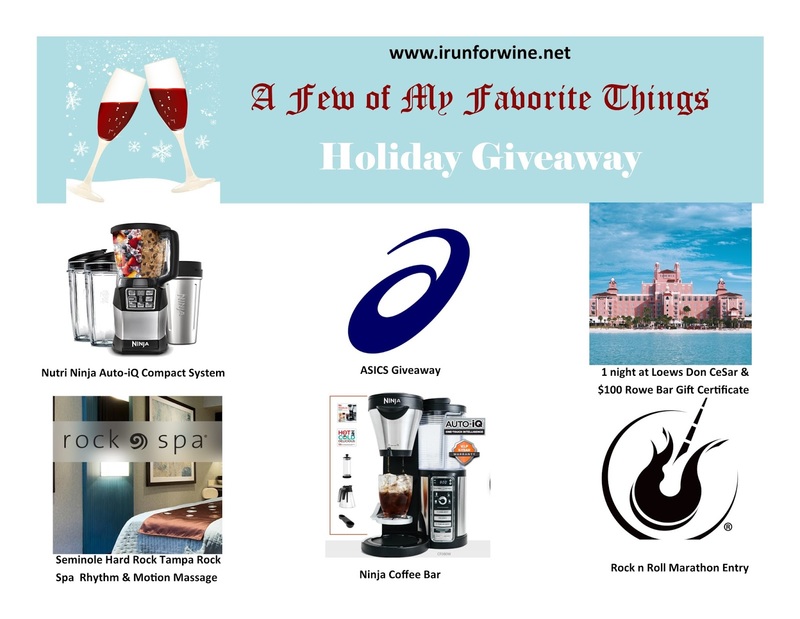 I am doing 2 running giveaways, 2 lifestyle/travel giveaways and 2 small kitchen appliances. The giveaways will last for two weeks, starting tomorrow, 12/1. Here is a sneak peek of what will be happening. This is not in date order, so be sure to check back daily and follow me on Instagram & Twitter for more details!